Whether seasonal or chronic, the many symptoms one can experience when suffering from allergies are more than just an annoyance, they interrupt your life. There may even be some symptoms you don’t realize are related to allergies. Some forms of “food intolerance” are not considered food allergy, even though symptoms may be similar. True “food allergy“ is described below. Immediate reactivity or “IgE” antibody mediated food allergy. This is a “fixed” food allergy and is usually inherited or genetically determined. These foods may need to be completely removed from the diet or avoided if symptoms are serious. This is referred to as “Type 1 IgE mediated food allergy”. In some cases, allergy immunotherapy can help. This is a type of therapy that is administered as an injection or sublingual drops to desensitize the patient to the allergen. At the NHIC, we only use sublingual drops. Patients are referred to an Allergist or Otolaryngologist physician for injections. Often, when delayed/IgG food allergies are avoided, symptoms from the immediate/IgE allergies are less severe. Airborne or IgE environmental allergies such as mold, grass, weeds, trees, dust, cat, dogs, dust mites and others, can also be tested for immediate reactivity, and often improve when IgG food allergies are avoided. Delayed reactivity or hidden food allergy is “IgG” antibody mediated. Also known as food “intolerance”, this is a cumulative type of allergy. The body develops antibodies against foods eaten frequently. Many chronic illnesses triggered by food allergy are associated with delayed or cumulative food allergy and, as noted above, often other allergies are worsened by eating these hidden food allergens. Food and environmental allergy reactions can cause symptoms in any area of the body: Food and environmental allergies can cause headaches, asthma, sneezing, skin rashes, stomach aches, bed wetting, fatigue, irritability, brain fog and other neurological symptoms, cold sores, esophageal reflux, irritable bowel syndrome, itching, hives, muscle and joint pain, fluid in the ears, sinus swelling, hoarseness, vaginal irritation, and even heart palpitations. Food allergens can also cause or aggravate neurological tic disorders and Attention Deficit Disorder as well as Allergic Tension Fatigue Syndrome. If you are symptomatic and suffering from recurrent symptoms suggestive of hidden food allergy, it is important to identify major allergens through allergy testing. Examples: Pork allergy can trigger allergic arthritis. Citrus allergy can trigger genitourinary allergy and increased susceptibility to frequent urinary tract infections. Yeast and mold allergy can trigger skin rashes, asthma, stomach bloating and gastritis and even susceptibility to yeast infections in women and Allergic Vulvovaginitis. Egg allergy can trigger headaches and migraine. Milk allergy can trigger recurrent ear infections, sneezing, leg aches and stomach-ache. Tomato and wheat allergy can trigger inflammatory bowel disease or Crohn’s Disease. It is important to note that the scientific medical literature supports the viewpoint that food allergy is often an overlooked cause or aggravating factor in many chronic illnesses. Many physicians do not consider food allergies when looking for causes of chronic illness and therefore, food allergy is missed. Food allergy can affect your other airborne (environmental) allergies making them worse. When food allergy is discovered and properly treated, it can sometimes prevent the need for symptom relieving medication and reduce environmental allergy symptoms. Susceptibility to infection may be a symptom of chronic food or environmental allergy due to an immune system overload phenomenon…. or the “allergic load threshold effect”. Food Allergy and food intolerance are not the same but may present with the same symptoms. The controversy in medicine surrounding food allergy and food intolerance has not been resolved. This controversy is related to the medical controversy surrounding chemical allergy and chemical sensitivity. Food intolerance may be related to chemical sensitivity.Many physicians refuse to treat food allergy because its role in causing or aggravating chronic disease is not perfectly clear, and it is not emphasized in medical training unless you are a trained allergist. Milk allergy and lactose intolerance are not the same. One may have either or both conditions. Wheat allergy and gluten intolerance are not the same but may present with similar symptoms. Food allergy and chemical sensitivity may be interrelated due to the chemical composition of foods. Also many foods have added chemical additives or are sprayed with herbicides or pesticides.Sometimes allergy treatment for foods with allergy immunotherapy will also decrease chemical sensitivity symptoms.Eating organically grown foods may decrease food intolerance reactions. You can become allergic to your favorite foods. Cumulative food allergy is a masked food addiction/allergy. If you crave food like peanut butter, you might eat it almost every day. Peanut butter then would become a suspect hidden food allergen triggering your bodily symptoms. When you stop eating peanut butter your body might actually go into a withdrawal phase, similar to withdrawal in drug addiction, and you could feel worse initially. You might even get a “buzz” or a stimulated effect from the addicted food. Fatigue, edema, weakness, and symptoms of hypoglycemia from the stimulatory and withdrawal symptoms of allergic addiction to foods can affect your autonomic nervous system leaving you feeling drained and feel out of balance.You can become “maladapted” to the foods you crave and are addicted to. Then you feel sick and seek medical attention. Any craved food can be an addictive hidden allergic food. There are pro-inflammatory foods and anti-inflammatory foods. An allergic food can trigger inflammation. Inflammation is what causes symptoms in the body. Inflammatory mediators released in the body from the allergic process cause the fatigue one feels from an allergic reaction.A vegetarian diet appears to be the least inflammatory diet and is also an alkaline diet. However, this does not always help everyone. Individualized allergy rotation diets work best once you find out which foods are your safe foods and which foods are your allergic ones. See “The Inflammation Cure” by William Meggs, M.D. for further information on an anti-inflammatory diet. Leaky gut syndrome symptoms are caused from inflammation causing vague digestive disturbances. Food allergy may be a major factor causing leaky gut syndrome. Other factors include a hidden gut infection from bacteria (H. Pylori), parasites (sometimes pinworms), or even a gut yeast/Candida infection that can disrupt the normal balance of intestinal flora. Stool studies may be helpful in making the diagnosis. Treatment of the hidden infection sometimes decreases allergic symptoms. The Elimination Diet Test for food allergies: If you completely remove a food from the diet for 5-7 days, symptoms will disappear if that food is the only one causing symptoms. This is why elimination diets don’t always tell the whole story and testing is helpful. Following an allergy elimination diet may help to determine if a certain food is causing symptoms. Some physicians use the rare foods diet as a test. This rare foods diet advises using only foods that the person rarely or never eats. This diet would include things like lamb, sweet potato, cabbage, or a rarely eaten type of fish and plain distilled water and nothing else for 5-7 days. If symptoms are eliminated on this diet then one can add one food family back into the diet every 3 days to determine which foods you are allergic to. Blood tests for food allergies and sensitivities: There are several medical laboratories that offer blood tests for the identification of food allergies that measure IgE (allergies) and IgG (sensitivities) antibodies against foods. These blood tests are sometimes considered controversial in the medical community and therefore most health care insurance will not pay for these tests. However, they may be very valuable in identifying major food offenders…. and are very useful especially in children when it can sometimes be very difficult to skin test. Skin tests for food allergies: The most reliable skin tests for IgE food allergies are “Intradermal Skin Tests”. There are no skin tests available for IgG food sensitivities, therefore, blood tests are used for these. The Intradermal Skin Tests for IgE allergies are based on the book, Relief At Last, by Joseph Miller, M.D. ; and also, recommended in the book, Is This Your Child, by Doris Rapp, M.D. Jonathan Brostoff, M.D, also explains this type of Maximal Tolerated Intradermal Testing and Treatment in the allergy textbook, FoodAllergy and Intolerance. Food Allergy Diet Rotation: Food allergic individuals may benefit from rotating foods. This means an understanding of food families (this is provided with test results). Just remember that any food you are allergic to should not be eaten more than once every 3-4 days. Repetitious eating is not recommended.This may be difficult but food rotation is very helpful in decreasing symptoms. For more information on diet rotation for food allergy see Rotation Bon Appetite, by Carolyn Gorman, available through the American Environmental Health Foundation in Dallas. been a reported allergic or anaphylactic reaction. Some people will benefit from immunotherapy for food allergies. This can be done by injection or sublingual drops. This type of treatment, Maximum Tolerated Intradermal Dose, is based on Serial Dilution Endpoint Titration Allergy Testing recommended by the American Academy of Environmental Medicine and the American Academy of Otolaryngic Allergy. Treatment is for both adults and children using weekly injections for the foods they cannot avoid or daily sublingual drops. At the NHIC, we only use drops and refer to a Allergist or Otolaryngologist physician’s office for injections. Maximum benefit usually occurs within weeks to months of beginning treatment, but may take up to 2-3 years. Drops are safer than the injections because there is no mechanism for, nor has there ever been a reported allergic or anaphylactic reaction. Allergy immunotherapy treatment can be done even while rotating foods. 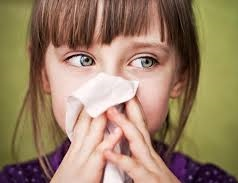 Enzyme Potentiated Low Dose Allergy Injection: This is a “homeopathic” type of very low dose allergy treatment that was developed in England by Dr. McEwen and is used in selective patients unresponsive to other therapies. It involves getting one injection every 2-3 months for 2-3 years to decrease allergies. It is used to treat chemical sensitivity, widespread food allergies, and airborne allergies. In England and Italy this type of treatment is called Enzyme Potentiated Desensitization or EPD and utilizes the enzyme- beta glucuronidase. In the U.S. this type of treatment is called Low Dose Allergy treatment or LDA. Due to the complexity of this therapy, the NHIC does not do this type of treatment, but referrals to doctors that do this treatment are recommended if all other simpler forms of treatment fail..
We can help. Book your appointment today and let’s get you started on a road to a less troubled life! Allergy testing can be ordered and blood tests drawn on your first visit to the office. Click here to contact us.